At Glenwood South Pharmacy + Market, we are proud to carry a wide variety of North Carolina craft beers. Below you’ll find some of the local brews you can find in our store – stop in and grab an NC craft beer from our beer cave! Five years ago, Eric first combined his passion and talent for gourmet cooking with over 20-years of engineering expertise, specifically in treating water. The process of releasing enzymes to break down starches into sugar and fermenting the sugar into alcohol and carbon dioxide is second nature to a water engineer–while balancing delicious flavor is what a gourmet cook strives for. Hence the “blueprint” for great beer was born! Eric’s unique combination of talents led the way for the one-of-a-kind, handcrafted beer, each as original as a fingerprint. Stop in our beer cave to pick up these Brueprint Brews! Kristie Nystedt, the first woman to own a brewery in the state of North Carolina, recognized a void in the market when it came to suppling homebrewers with local supplies and commercial brewers with efficient and quality tanks to produce their beer. 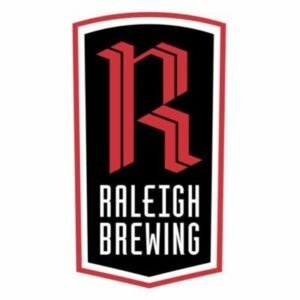 So when Raleigh Brewing opened in 2013, it was alongside its two sister companies, Atlantic Brew Supply and ABS Commercial. Raleigh Brewing’s mission is to embrace the City of Oaks (Raleigh) with every beer brewed. From the murals of the capital city on the taproom walls, to the names of our beers and our involvement with local community organizations and nonprofits, they thrive for this city. Stop in our beer cave to pick up these Raleigh Brewing Brews! 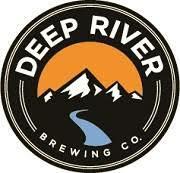 Deep River Brewing is a 15bbl, 2 vessel brewhouse designed specifically for its location. It is known as “Johnston County’s First Legal Brewery.” Johnston County’s first legal batch of beer was produced on February 28, 2013 and the brewery officially opened its door on April 6, 2013. Deep River strives to use locally grown raw materials for their brews whenever possible. Stop in our beer cave to pick up these Deep River Brews! What is a “Bombshell”? One definition is an unexpected surprise! Craft beer is not just for guys! History tells us that brewing beer was traditionally a woman’s job. In fact, the creation of beer is credited to women! The goddess, Ninkasi is recognized for creating the oldest beer recipe in existence, dating back some 3900 years. Until Medieval times, it was the woman’s job to brew beer for the household and laws of that time stated that the tools of brewing were solely the woman’s property. Fast forward to modern times, the evolution of craft beer and the partnership of the original Bombshell Girls-Ellen Joyner, Jackie Hudspeth and Michelle Miniutti, three home brewers following their dreams. Together, they draw upon the power of their brains, beauty and beliefs that great brewing practices make for great beer and great times for all. 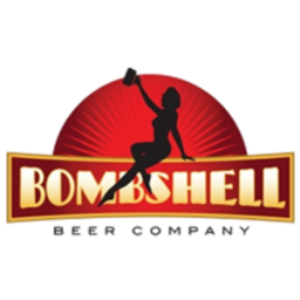 Stop in our beer cave to pick up these Bombshell Brews! 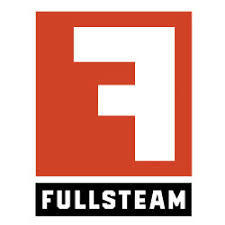 Started in 2010, Fullsteam brews distinctinly southern beer that fosters agricultural pride and prospertiy in a post-tobacco North Carolina. By buying local to brew local, they aim to improve the quality of life of local farmers, foragers, and agricultural entrepreneurs. They seek to pioneer a South Beern Economy – one pint at a time. All of the beer contains at least 10% of local ingredietns by weight. Most are significantly higher than this. Stop in our beer cave to pick up these Fullsteam Brews! Stuart Arnold, as a home brewer with a passion for English beer, had an idea to take his home brewing to the next level. The craft brewery incorporates U.S. and U.K. ingredients for their English style craft beer. 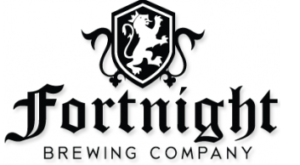 Opened in 2014, Fortnight Brewing Company specializes in UK-inspired beers. Its core beers include an English Ale, Porter, and ESB, which are all brewed with English grown ingredients and yeast. Stop in our beer cave to pick up these Fortnight Brews! The list doesn’t stop here! Our beer cave is open 7 days a week and offers many more NC craft beers. We’re in your neighborhood and on your streams, connect with us on Facebook and Twitter to learn about new products, sales, events and more!